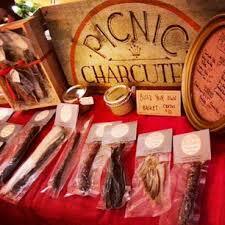 Picnic Charcuterie is located in Tofino, BC, where it is owned and operated locally. 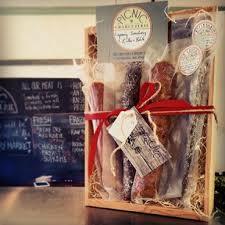 We produce high quality cured meats and provisions using local and seasonal BC ingredients. Practicing traditional production and aging techniques, and using only the minimum required preservatives, we strive to purvey an exceptional product. The word picnic dates back to the 18th century and is derived from the French word ‘pique-nique’, meaning ‘to eat an informal outdoor meal with family’. Charcuterie is the French word for a group of cold ready to eat meats. This includes salted, cured, smoked, cooked, brined and confit. 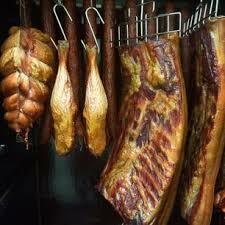 A charcuterieis the overarching term for the place where meats, vegetables and fruits are preserved. Craft is important to us. Traditional techniques have been used for centuries, and have cultural roots. These techniques take patience, and value every part of an animal. Crafting respects the time, effort and life given to raise and harvest the ingredients we use. Food sovereignty and safety is equally significant to us. We think consumers should know how and where the food they eat is produced, and who produces it. We believe in directly supporting the production and harvest of local and ethically raised goods, and prioritize sourcing ingredients from Vancouver Island producers. 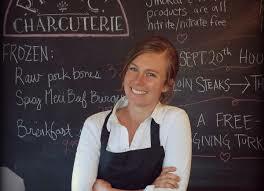 Tina Windsor is the owner/operator (and privileged charcutier) at Picnic Charcuterie. 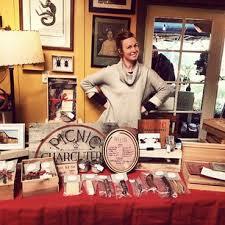 She has a diverse background including grass-based livestock husbandry and artisan cheese and charcuterie production. She lives, loves and preserves foods in Tofino, BC, Canada.